THE WICKED FLEE when no man pursueth. Roger Penske does not flee when pursued. 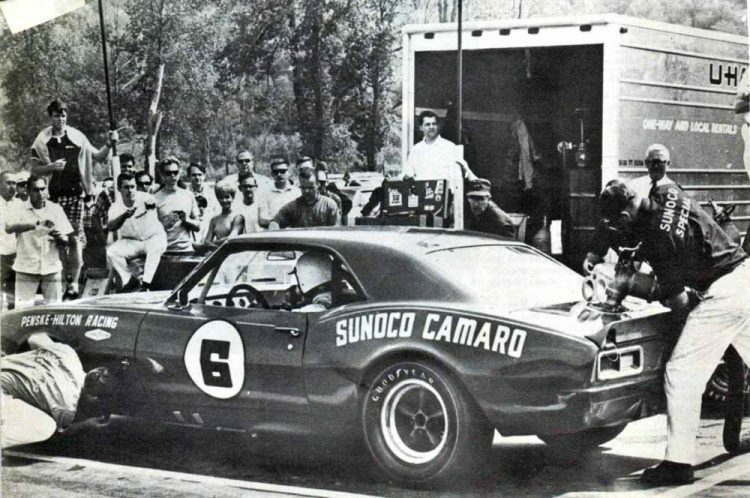 Before the West Coast Trans-Am races, the finish of the 1969 season was clear. Penske”s Sunoco Camaro team would win. We must find out how Penske and his crew do it, but how? We don’t know any spies and we can’t afford bribery. Besides, we’d probably get punched in the nose, and we are writers not fighters. Start at the top, with Penske himself, Sure, he said. Here’s where we’ll be working on them between races. Drop in any time, with notebook, camera, sketchpad and tape measure. We have no secrets and we can’t afford to cheat. Accusations are easy to make, and hints and snide remarks fell like rain during the 1969 season. There were some flagrant examples of rule breakage and bending. But Penske is right. He can’t afford to cheat. There are too many eyes on him, and he would lose more than one race if he was ever caught. 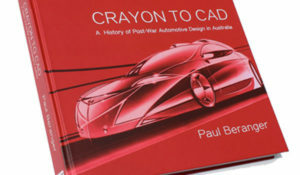 It’s worth noting here that Penske has allways been one step ahead of the field when it comes to making the book work for the car. He’s been in racing, as a title-winning driver before he became an entrant, for 10 years. He probably holds the record for being protested. And not one protest has ever been upheld, Not one. Building a Trans-Am winner starts at the factory. This is not to say the Sonoco team is a factory team. 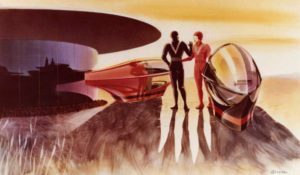 If actual money changes hands, nobody has ever found the pipeline, and it’s not for lack of effort, inside General Motors and out. The only fair conclusion is that Penske and the factory trade information and advice, just as Penske and the factory say they do. 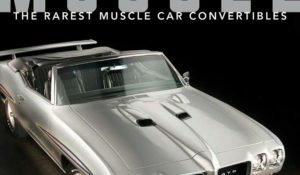 The results of this interchange show up in the homologation papers, the list of parts and specifications that determine what can be used on a Trans-Am car and what can’t. The manufacturer must do this for the entrant, and Chevrolet does it, for Penske and anybody else who wants to go racing with his Camaro. 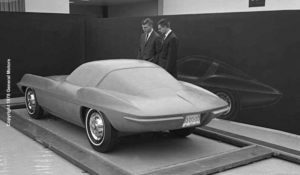 But unlike Ford, which is willing to design, manufacture and holmologate anything that could possibly be needed for racing, Chevrolet engineering must be able to assign the design cost to some finite account,. There is no racing budget at Chevy, so most of the special parts wind up as “Heavy Duty” and work their way into real honest production. 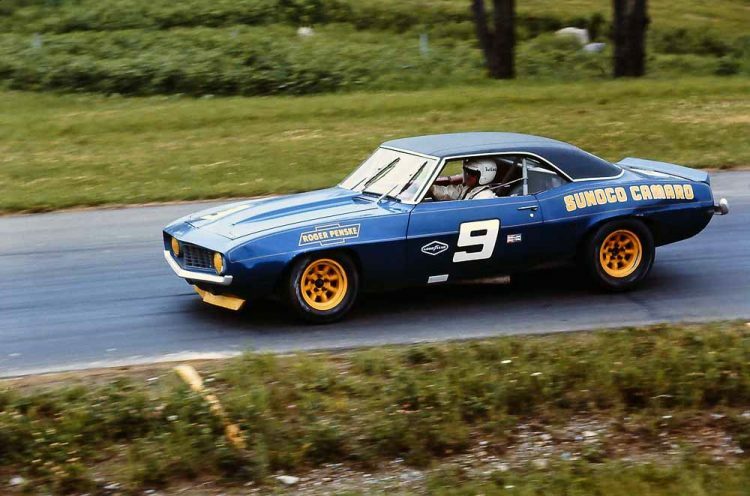 In other words, if you were smart enough, you were smart enough, you too, could build a Camaro as fast as Mark Donohue’s, while on the other hand, just to get the right parts out of Ford you’d have to at least be named Carrol Shelby. After making sure all the requisite options are registered, the next thing is to establish a technical rapport with the factory. Here Penske made a very wise move early in his association with Chevy. With every enthusiast engineer in the house wanting to get involved in the racing project, and their enthusiastic bosses more than willing to let them. Penske put his foot down. He had seen the factory people overrun the Shelby works and would have none of it in his team. He would like only one engineer, thank you and a liaison man to coordinate the technical info passing in both directions, This kept the operation small, efficient and extremely fluid, yet when major technical assistance was needed it was available. Penske preferred using his own people. Something that isn’t commonly known is that one of the better racing engineers in the country is Mark Donohue. He is not only the Penske team number one driver, he is also the chief engineer. He makes the final decisions about various suspension changes he does much of the design work, and all the test driving. If any one man can be called responsible for the winning design it has to be Donohue. 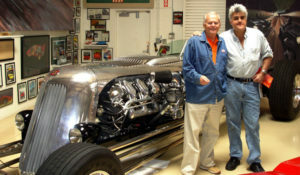 He is ably backed up by Chuck Cantwell former Shelby Racing team manager, much of whose time is spent on the drawing board between races, He, too, handles much of the conceptual design, supervises the manufacture of the special parts, and takes care of the complicated logistics of operating a racing team and supplying parts clear across the country. Each car is cared for by a chief mechanic and a helper. Earl McMillan, a long time Penske mechanic, handles the Donohue car. while Woody Woodward takes care of Bucknum’s mount. A pretty small operation, about one quarter the size of any opposing them. About the only work handled by the factory is the stuff the team has no facilities for, such as computer time and elaborate testing programs. 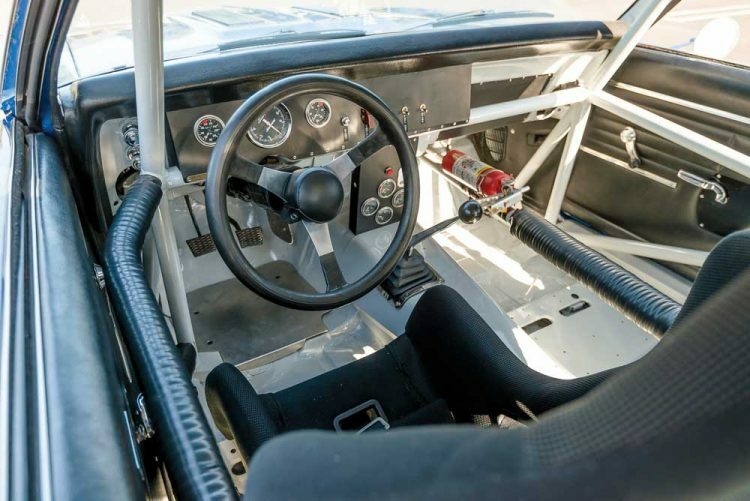 The Penske Camaros start life as nothing more than a pile of “white” parts—components without paint. The factory has nothing to do with chassis construction, Penske gets the parts through the usual channels of his Chevrolet dealership. The unit-body section is lightened where possible (we could find no evidence of acid dipping—usually detectable by the deterioration of spot welds) and the roll cage is welded in, becoming as much space frame as roll-over structure. The front subframe is all re-welded, the roll cage is extended to meet the forward rails, and all unnecessary brackets and bolts are eliminated. The front fenders and grille assembly are also reinforced, unnecessary metal is removed, and the panels are arranged so the whole assembly attaches by four bolts, this facilitates easy removal for accessibility to the major mechanical components. The major change is the camber change of the front wheels. Standard suspension allows the wheels to lean out during cornering roll, which reduces the cornering power. And since rules prohibit relocation of the suspension pivot points, the improvement must come from subtle adjustment within the existing design. A favorite trick last year amongst all the teams was to lower the inside upper A-arm pivot point. SCCA got wise to this though and now measures it at the tech inspections. For the ’69 Camaros, a slightly longer spindle was homologated effectively accomplishing the same thing without breaking any rules. Next, eccentric bushings of Delrin (a tough space age plastic material) replace the usual rubber bushings and are used to lower the upper A-arm pivot, and raise the lower. The entire car is also lowered, giving the lower A-arm a near stock angle, while pulling the upper arm into a much steeper angle. The resulting geometry is much better but the extreme static negative camber used (3 degrees) indicates that it is still far from ideal. Still, within the normal alignment adjustment a small amount of anti-dive is used, by tipping the upper A-arm axis slightly towards the rear. Chevrolet has various rates of front spring coils available on a special parts list and these are changed to suit the specific course. There are also several front anti-roll bars cataloged but the Penske cars now use a custom made version with the lever arm length adjustable for tailoring the roll rate. This is simpler and faster than having to swap the entire bar as would be required with the factory parts. FRONT SUSPENSION presents formidable challenge on the Camaro. Production geometry is poor, and SCCA doesn’t allow no messing around, ’round here. By using a slightly longer spindle, eccentric plastic bushing (in place of the rubber ones) and all the available alignment adjustment, some facsimile of decent geometry can be achieved. Corvette brakes have Teflon coated aluminum hub to ease wheel installation. Adjustable anti-roll bar replaces standard unit. 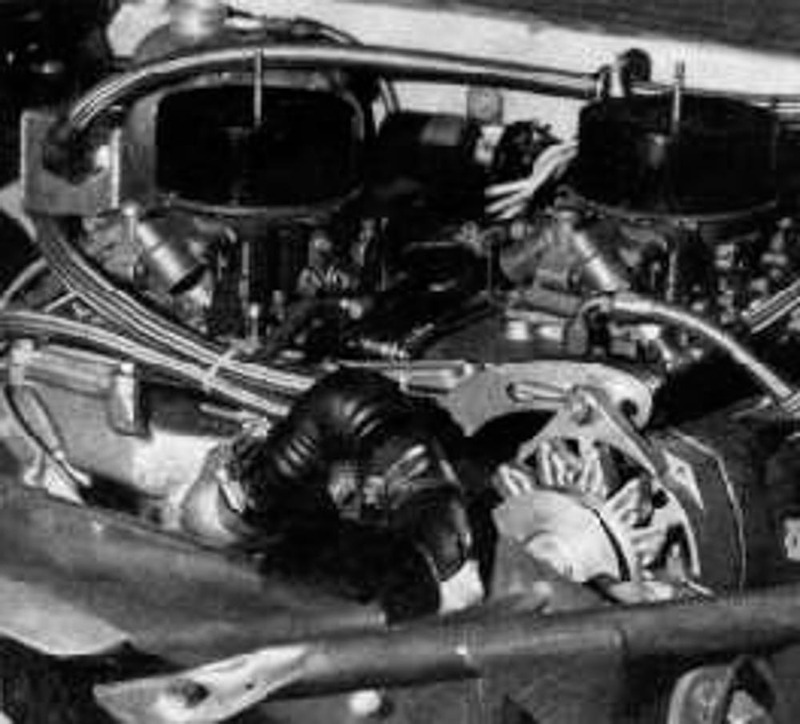 Power steering was tried early in the season, and although it reduced driver fatigue, it was one more part subject to failure (which it did). When the chips went down early in the season, they decided to eliminate all undeveloped ideas to concentrate on winning. The optional quick 17:1 manual steering (RPO N44) is used, and with the big tires, it is horrendously stiff. At speed it lightens, but drivers MUST stay in good physical shape to drive the two to three hour races and avoid accident-causing fatigue. Only trick done to the steering is one subtle geometry modification, A small spacer is placed between the steering arm and the tie rod, to lower the steering arm and the tie rod, to lower the tie rod end, causing its arc during suspension travel to be compatible with that of the A-arms, eliminating bump and roll steer. As the owner of any hot Ponycar will tell you, the worst flaw on these chassis is the rear axle location. 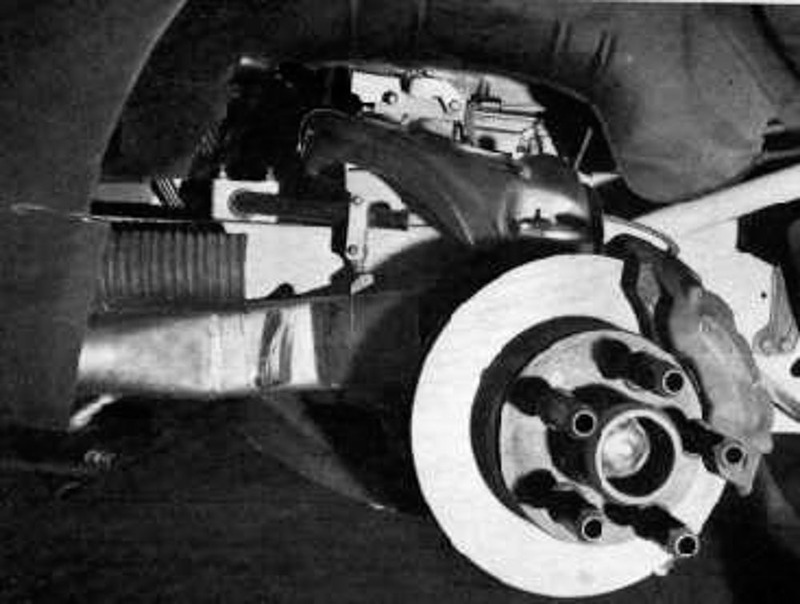 The classic Hotchkiss drive is standard fare on all Ponycars, using only the leaf spring to control torque reaction, spring wrap-up under braking and acceleration is common. Making the spring stiffer helps, but the ride suffers. Torque bars will eliminate wrap-up, but induce a bind, no matter how carefully the pivot point is selected. Challenging problem. Ford sidestepped it by using two radius rods on each side and taking the locating function away from the spring which sits loosely in slotted mounts. The Camaros have a more interesting solution. They use no control arms of any kind. The springs are built eccentric, that is, the forward portion is much stiffer than the rear, so that the forward portion acts more as a link than a spring. The rear portion supplies most of the springing. This affords good axle control without having to go super stiff in spring rate. As exhibited on the race course they are noticeably softer than the competition. These springs also have a very long effective radius of rotation designed in. i.e. the effective center is much further forward than normal, so that during suspension travel, the axle describes a very flat arc, reducing bump and roll steer to a minimum. Lateral location is provided by a track or Panhard bar. Although a centrally located Watt link achieves straight line travel, it also gives the axle a decidedly unnatural geometry. Suppose a bump is encountered by one wheel. The axle’s natural tendency is to ride over the bump by rotating about the opposite wheel. If the axle is constrained in the center, the axle will sill rotate about this pivot point causing a like disturbance at the opposite wheel (a slight inward scrubbing movement). With a Panhard bar, the axle is allowed to move in a more natural fashion curing one wheel bump, but does cause a lateral movement when both wheels bump. It’s a trade off. Stability in a corner is more desirable than stability on the straights. Placement of the Panhard bar is also a very ticklish proposition. Located wrong, it can cause a jacking action that would terrorize even the most jaded owner of an early Corvair. Jacking isn’t the word for it:—more like pole vaulting. 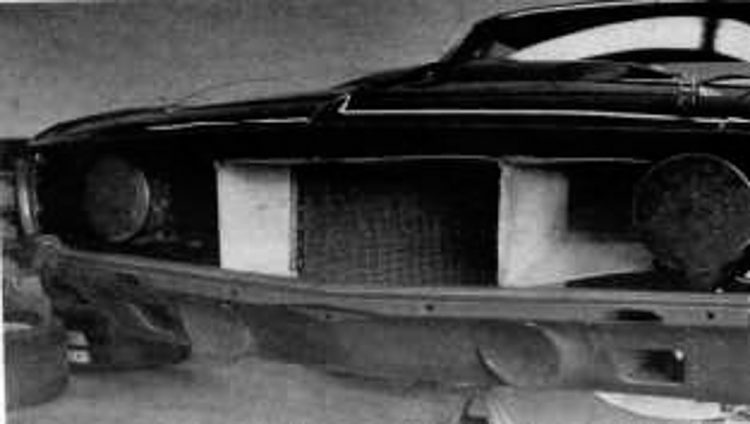 Obviously more than the drawing board time of Mark Donohue went into the design of these springs and Panhard bar. It was the result of much computer time. Delron bushes were also used at the rear springs, and a half inch adjustable anti-roll bar is mounted above the axle. Koni adjustable shocks are used all the way around. One set lasts all season. Incredible. The rear axle itself is remarkably standard. Although the rules allow the use of full floating axle shafts (hubs fully supported by bearings at the end of the housing) the team no longer uses them. Floating axles are primarily a safety feature: If an axle breaks, the wheel doesn’t come off. Penske axles don’t break, the full floaters are heavier, and one such floater caused a leak that put one car out of a race, so they have gone back to the standard Chevy hardware. Hubs and axle shafts are crack-checked between every race anyway, and replaced as required. 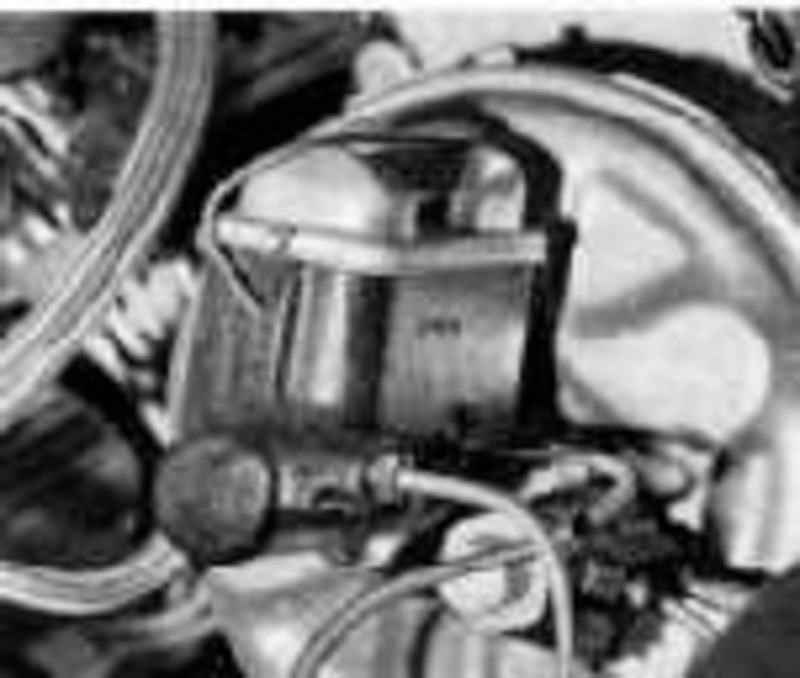 The normal Chevy positraction is fitted, with the clutches shimmed to tighten the differential action. This has a tendency to make it into a solid axle device, but should it slip excessively, the unit would quickly burn itself up at racing speeds. Differential coolers are allowed, but so far none have been required. Brakes are the optional four wheel disc systems, which utilize the Corvette assemblies. The usual power assist is fitted, along with a HD Corvette adjustable proportioning valve. Made by Kelsey-Hayes, it allows front/rear braking to be tailored to specific race courses. This is deliberately placed in an inconvenient place on the vacuum chamber so it will not be adjusted indiscriminately. Placing it within reach of the driver often allows him to proportion himself right out of braking effort. His job is to drive, not tinker. ADJUSTABLE brake proportioning valve is used to regulate front to rear braking effort. Kelsey-Hayes makes it, PN 3878944. The rules allow 0-in, wide wheels of any design and Penske uses the English Minilites. Heah yeah, we’ve heard all the stories about inferior British metallurgy, but these permanent mold magnesium designs have proven to be strong, light and cheaper than American designs. Last year’s wheels didn’t break in combat. Donohue knows they were marginal. 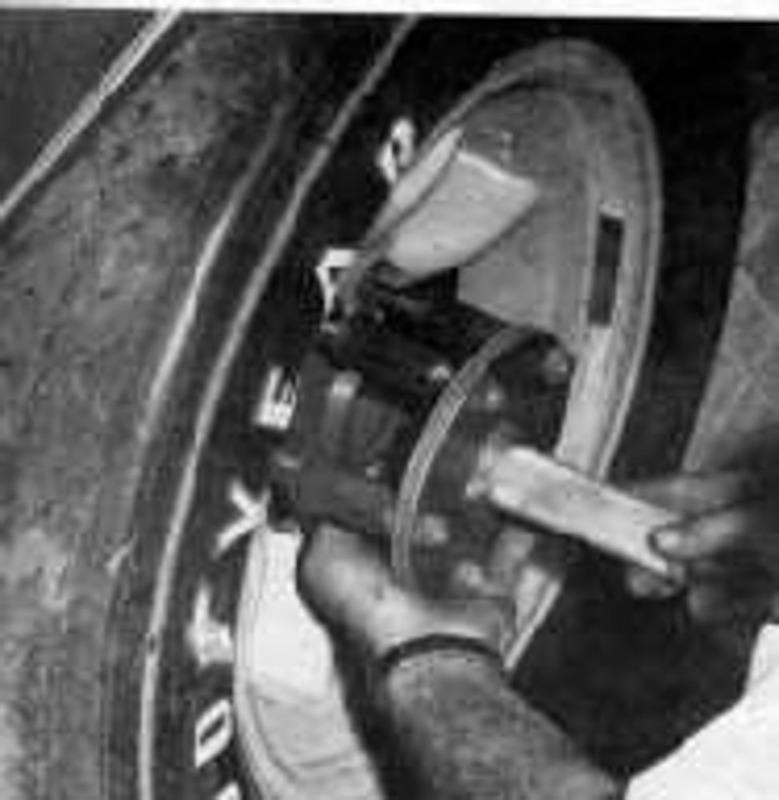 During the winter he and Cantwell set up a test to find the strongest wheels available. The Minilites won. Now, we know that Penske’s small shop doesn’t have a fatigue test machine. Whose do you suppose they used? Their test was right to. The only major team that didn’t use Minilites was the Bud Moore Mustang crew. They lost two races and almost one driver because of wheel failure. FENDER BULGING for tire clearance is kosher if contour is not changed, no metal is added or removed. Penske’s cars stayed to within the rules, retained an almost stock shape and still had room to spare. Internal wheel house is also expanded inward, splash guards removed or bent out of the way. 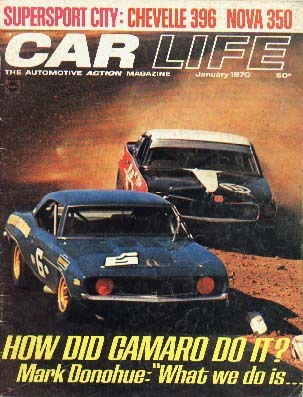 Camaros are most stock appearing cars in Trans-Am. One of the more interesting protests of the Trans-Am season involved the vinyl top used by the Camaros early in the year. It drove the competition SCCA, and the visiting press absolutely batty, because nobody knew why it was there. Some claimed it was hiding an aluminum or fiberglass roof., although the tech inspector’s magnets stuck to it. Others claimed it was some kind of super-slippery material that cut the drag. Penske’s story is that he ran them simply to set his cars apart from the crowd. Several other cars running the Trans-Am are also blue, including the Shelby Mustangs, and he simply wanted to look different for quick identification. Also the vinyl is tough, and could withstand several races before refinishing would be required where as the paint must be touched up after every race, expensive even to Penske. Curiously the most logical reason for using such a top was ignored. The forward part of a car roof is a negative pressure area. Venting the higher pressure cockpit air into that area would noticeably reduce lift. With a vinyl skin covering a series of pin holes, this could have been accomplished without the inspectors noticing. Nobody ever figured exactly why they ran the vinyl, though and finally got them off on a technicality. (The roofs didn’t appear on the homologation papers.) The rules didn’t say Penske couldn’t use them, so his record was safe. All engine work is left to Traco Engineering. Penske supplies the parts from his won dealership. Traco blueprints each engine, dyno tests it and ke4eps it tuned. Traco operates as an independent supplier, and is not on a retainer to either Penske or Chevrolet. Jim Travers does go to most of the races with Penske—as a paid pit crew member—and manages all the care and feeding of his babies. Power figures are pretty subjective. By Traco’s dyno, the engines average around 440 bhp at 7200rpm. This less then the other teams claim, but seems to get the job done. The Chevys are down on power to the Boss 302 Fords, but they win races anyway. The engines use a surprising number of stock parts, including pistons, rods, cranks, sump, cam and pushrods. About the only thing made by Traco is the valve system, which offers a small improvement over the already good Chevy set-up. In anticipation of the dreaded rocker ball galling problem, Chevrolet homologated needle bearing rockers. However, Traco found it was just as effective and much cheaper to continue using the ’68 system of Micro-sealing the standard rockers. 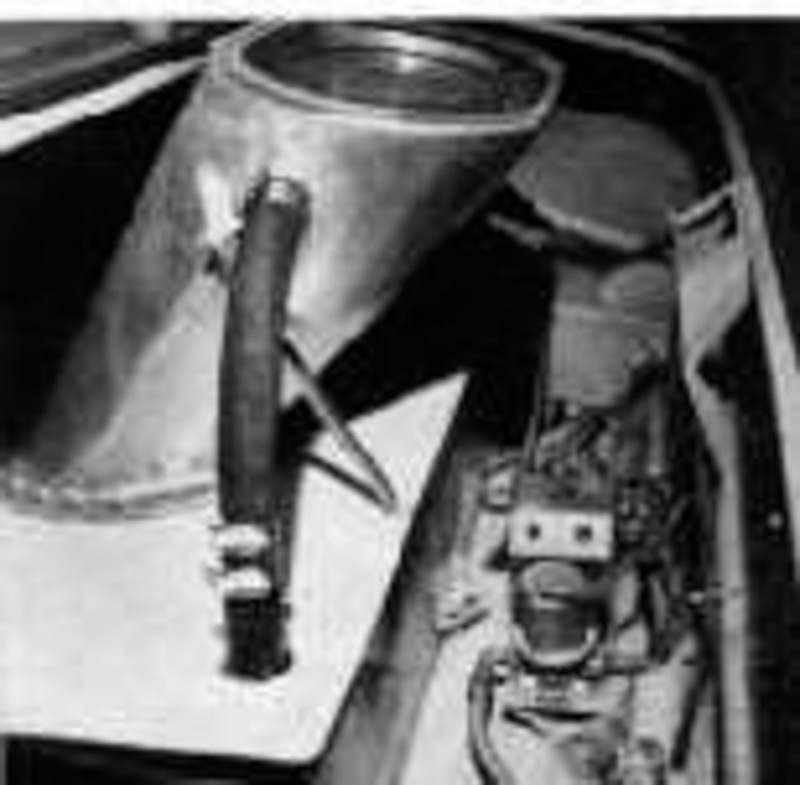 Early engine failures were attributed to connecting rod weakness not encountered until the engine speed was increased to get more competitive power. Subsequently the design was improved, shot peening added and the problem seems to be solved provided they keep the revs below 7500 and don’t try to get more than one race out of an engine. They have found that it is false economy to try to get more than one race (plus practice) out of an engine between overhauls. Overhauls consist of new rods, rings and a valve job. Everything is crack tested, including the block. The bearings are so good they are often used over again. Normally six engines are kept in the works: Two in the cars, two in overhaul. TRACO ENGINEERING has full charge of the engines, Penske owns six: two in the cars, two spares, and two at the shop being overhauled. One race only, between overhauls. 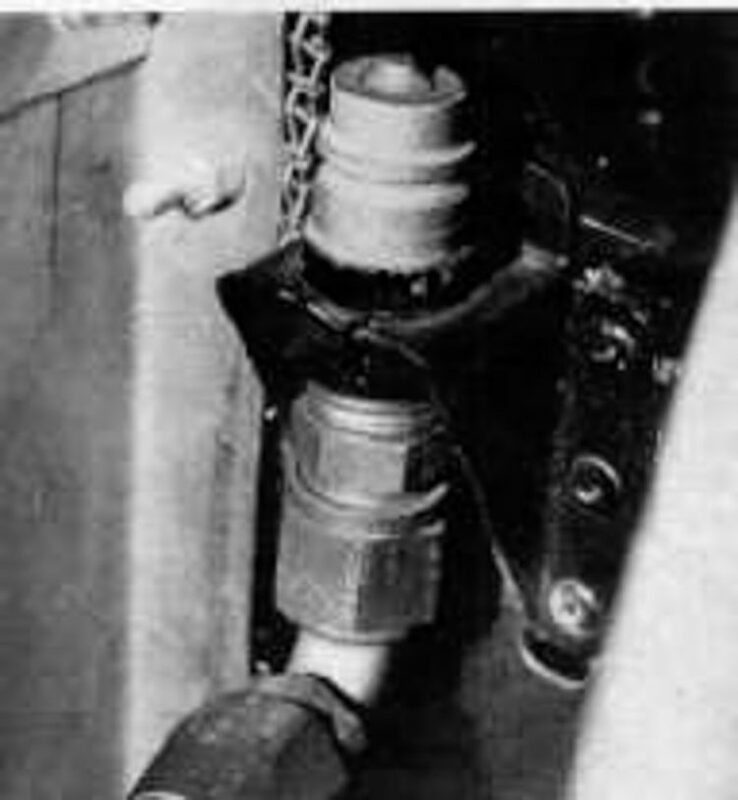 A Schieffer flywheel and clutch along with a stock Chevy disc is used inside a safety bell housing. The M22 “rock crusher” transmission has the usual close ratio gears. A different set of gear ratios was homologated, but never produced, although they could have been effectively used on several courses. In a form of racing where bleary eyed mechanics always seem to be changing engines or gearboxes or rear axles right up to the starting grid, the Penske crew displays a remarkable picture of preparedness. At every race. The cars are ready when the arrive at the course. They have fresh paint, they are clean, they have the right jetting and gear ratios and the mechanics are rested (well, relatively). There is very little last ditch work done at the race course. Quiet methodical preparation is carried out before the cars reach the track, so the crew can concentrate on going fast, not rebuilding cars. Between each race the cars are torn down to the “tub”—the unit-body and subframe. This assembly is steam cleaned, and repainted inside and out, including underneath. The engine is sent to Traco, the suspension pieces are magnafluxed and the rear axle is exchanged for a fresh unit containing the proper ratio for the next race. Donohue and Cantwell determine what springs will probably be needed, based on previous experience or an educated guess. The suspension goes back on using all new spindles, hubs, bearings and steering knuckles. Brake discs are replaced as are the pads. All fluid systems re flushed, including the oil cooler and lines, radiator and hoses, and the fuel tank and pipes. The transmission is replaced every two or three races as a precautionary move. A new engine goes in, the fluid systems are primed and the engine is ready to fire. The body work goes back on and any paint touch up work is finished, including pinstriping. (“I want my cars to look sharp;” said Penske.) The chassis is given a complete alignment, with anticipated changes incorporated. Donohue and Bucknum have a completely new car for every race. and they look it. The race winning tactic this year was in their pit stops, every bit as good as those of the legendary Woods Brothers. Each man has a specified job. If that certain job is not to be performed on a certain pit stop, then he stands back out of the way. 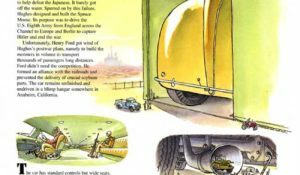 Sunoco designed a secret fueling rig, complete with a cooling jacket containing dry ice and acetone, A huge hose and nozzle flow fuel at five gallons a second, about as fast as the car tank can take it. The spectacular fuel splashes common early in season have been all but eliminated by a better cap and vent system in the car. Seems Penske got a pair of $75 alligator shoes ruined by splashing fuel, hence the improved design. HUGE fuel tank filler neck has spring loaded trap door, allows flow of five gallons per second. Parallel operating Carter impeller fuel pumps deliver fuel to engine. Tire changes are not normally anticipated in most of the races, but when and if, they are ready for those too. Knock off wheels are not allowed, so air wrenches and a five lug nut system are used. Getting a wheel on and off is helped by a special teflon-coated hub bushing. But fitting each individual nut was time consuming. Enter and ingenious device called the lug nut ejector. Five lug nuts are held in a cluster with the same spacing as the wheel. These are slipped over the studs, the ejector plate shoves them home, off the holder ready to be spun tight by an air wrench. Stripping of threads is kept to a minimum by coating everything liberally with spray Molybdenum. Low on oil or water? One is hardly able to pour oil into a running engine or pull off a radiator cap on a pit stop. Hence air hose connections re connected to the oil and water systems. A pressurized canister of oil or water is plugged in and the pressure in the canister injects fluid into the hot and running engine. LUG nut holder allows all five nuts to be started at once, Air wrench tightens them down. Tire changers are in the 20 second category, fast by even NASCAR standards. PRESSURE Connections on both the radiator and crankcase allow water and oil to be added to running engine during frantic pit stops. Pressurized canister is snapped on this receptacle, air pressure injects fluid into engine. What about 1970? For starters, there will be an all new ’70-1/2 chassis, with improved suspension design and fast back body style. No independent suspension, however. When you get right down to it. a well executed live axle on a big car is not all that much of a handicap, especially on the relatively smooth tracks. Semi-final 1970 rules subject to change at any moment have it that all manufacturers may de-stroke to arrive at the 305-cid limit, and that only one four-barrel may be used a’ la NASCAR. The ’70-1/2 Z/28 will therefore be a single carburetor 350 (LT1, of Corvette fame) with 370 street horsepower. Fitting last year’s crank will bring it back down to a 302. Will they need more horsepower? Doubt it. 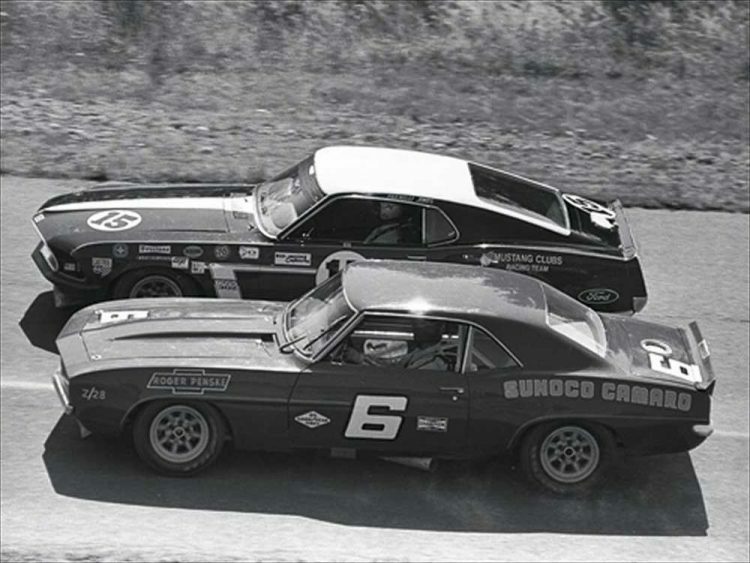 With only one carb, the air gulping ports of the Boss 302 will no longer give it the distinct advantage it had in ’69. and the good torquing (relatively) Chevy should be back in the ball game again. But instead of Sunoco Blue, the cars will be Chaparral White. A Texas Chevy story, J, Hall prop., will be campaigning them. With Turbo-Hydros, maybe? FUNCTIONAL instrument panel, cool air vent and foot rest aid driver efficiency, There is an oil injection connection behind wheel spoke. This allows oil to be added without lifting hood. Grey paint gives clean appearance, makes leaks readily visible. PREPARATION KNOWS no bounds. Grille removed reveals ducting and protective screen in front of Corvette aluminum radiator and Harrison oil coler (PN 3157804) from your local Chevrolet dealer). Cars undergo complete overhaul between races, including repainting of even the undercarriage. Frame type: Unitized with separate front subframe. Front suspension: Independent by S.L A., coil springs. Koni adj racing shocks spec .88 in anti-roll bar. Modified with longer spindle, eccentric plastic bushings. Rear suspension: Hotchkiss-type live axle, multi-leaf springs, Koni adjustable racing shocks, .50 in. anti roll bar. Panhard track bar, Steering: Recirculating ball oa ratio, 17 to 1. Wheels: 15 x 9 Minilite magnesium wheels. 600./12.30-15 rear, (11 in tread). Valve train: Mechanical lifters, HD pushrods. Microsealed HD rocker arms, Traco valves & springs. Camshaft: Chevrolet high perf (PN 3927140). CLUTCH: Schiefer competition single dry disc. Transmission: HD Close ratio 4-speed “rock crusher” (m22). According to Mark Donahue the vinyl tops covered up the extreme acid dip roof panels. SCCA made them eventually remove them. Penske had to replace the steel roofs as they were a mess after acid dipping and vinyl top removal. All this is from Marks book,the unfair advantage. 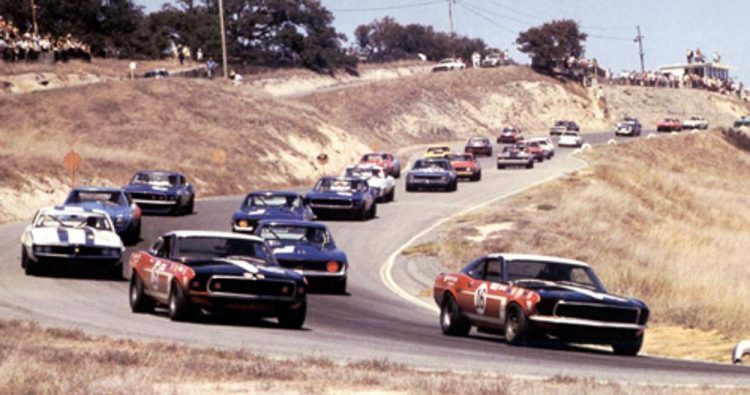 Nice photo of the old track configuration at Laguna Seca. Properly geared vehicles would crest the hill in 3rd and then be shifted into 4th for more speed. From the other side of the Corkscrew hill you could hear the difference and see the speed gain.